Despite common misconceptions, every homeless person represents valuable human capital - and deserves hope. 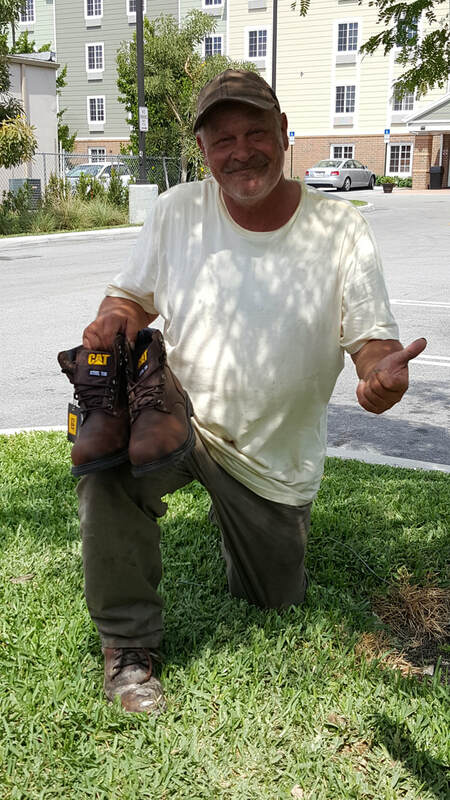 To work toward a better life, all many need is a pair of compliant and comfortable work boots and a backpack. Here's how you can help. All of us have preconceptions - often MIS-conceptions - about the homeless. And what many don't realize is that a large number are simply people who have hit a rough patch in their lives. All too often, a seemingly minor life event - a health issue, a lost job, even a roommate moving out - can push a hard-working and productive member of society over the edge and onto the street. Despite our pre and misconceptions, many of these homeless individuals can and WANT to work - and many are looking to do so and especially, to save for the opportunity to get back into a home. One opportunity for many to get regular work is to go to sites where individuals are hired for day labor. But to get hired for a day, workers need compliant and comfortable work boots. These compliant boots - which must be steel-toed and durable - are expensive, costing an average of $50 a pair and sometimes up to $100. And because of the nature of the work and the Florida climate, these boots need to be replaced on average every 4-6 months. A second basic need is a simple backpack. Because the homeless have no place to store and safe keep their meager belongings everything they own must travel with them everywhere they go . . . including work. Imagine getting around with no place to keep driver's licenses . . . birth certificates . . . and of course, any savings they can garner. Not to mention any few precious mementos or personal valuables a homeless person is able to preserve. South Florida Sanctuary believes EVERY individual - no matter her or his station or situation in life - represents valuable human capital. EVERY individual deserves the chance to develop that capital. And EVERY individual deserves hope. 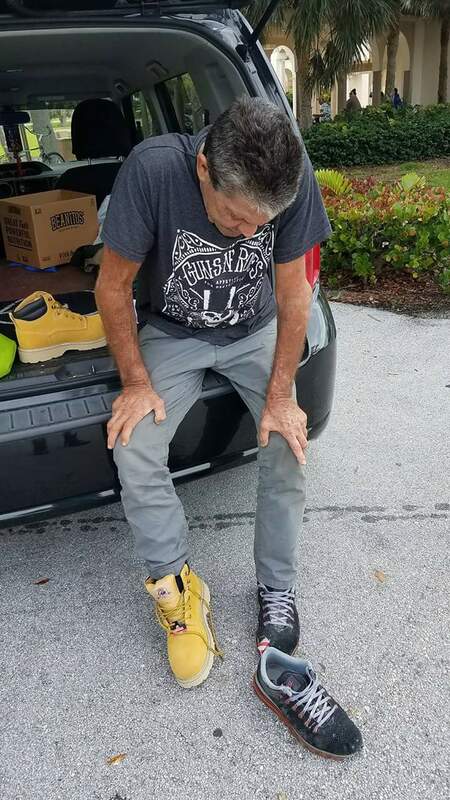 That's why our mission, in addition to providing sustenance, temporary and secure personal spaces, clothes and other goods, also includes connecting homeless individuals to more advanced assistance and opportunity. So we are seeking to raise $25,000: to connect individuals to the opportunity to work by meeting the continuous demand for boots and backpacks. This one small step up may be all a homeless person needs . . . and it's easy for you to help. You can choose a one time gift of $25, $50, $100, or a recurring donation. South Florida Sanctuary is a registered 501(c)(3). All gifts are tax deductible.